“I’m on a vegan, no sugar-added, raw foods-only diet,” I declared on my second orthopedic visit. The doctor smiled, a tiny little pity smile that made me feel as weak as a child. “But what do you eat?” he asked. I’ve convinced myself for a long time that that list is expansive, holistically healthy and just enough variety for me. I was somehow surprised, waiting there for my (still fractured fibula) x-ray results, that I could count all of the food-stuffs I eat one hand. And then to get that pity look, the words “What do you eat?” reverberating in my head a week later, as I continue to crutch it along — bouncing back and forth from pain to tolerable mobility like an 80’s night strobe light. That’s my dear friend Kate, examining the competing paradigms of my current philosophy on life, and trying her best to come up with a solution for my sorry state of confusion. I watched as she tried, oh-so deliberately, to re-construct my 4 principles — vegan; environmentally conscious citizen; no added sugar, only raw foods; and severely calcium deficient — into one, ultra Venn diagram to represent my life. Can I really have it all? I asked her, still moody from my MRI. Can I really achieve all of these principles all at once? 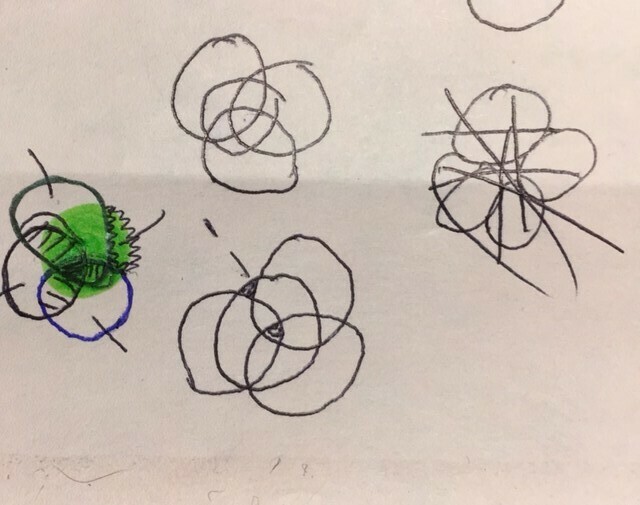 I gave her terms and conditions: severely calcium deficient was marked in green highlighter, the only that could not absolutely positively be taken out of the equation. As much as I like to pretend I am healed and that I am on my way, I am broken-bones inside. This is a reality I can’t take off the table just yet. Circles. More circles. 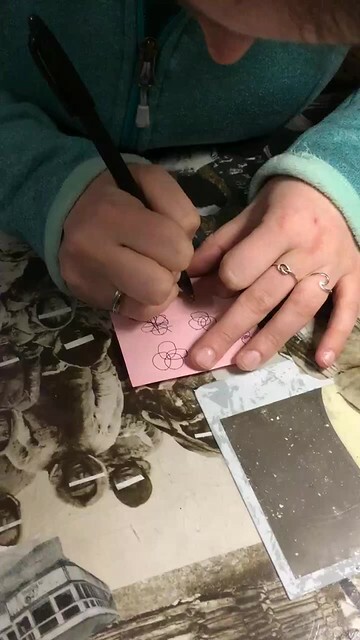 Even bigger circles to try and make the other circles fit. I don’t drink milk because I’m vegan. I don’t drink soy milk because it has a lot of added sugar, and it’s undoubtedly farmed on a big-ag soy plantation and contributing to greenhouse gas emissions. I don’t drink almond milk because of environmental reasons. I resisted taking calcium supplements for the longest time — just recently relented — for raw/natural food reasons. That giving was — is, continues to be — my left ankle/fibula/who-the-hell-knows-because-xrays-show-nothing. I’ve been limping around campus for 7 weeks, going on 10 weeks for full injury. Every time I think I make some progress, I end up dragging my leg back to my room and biting back tears. Every time I think I see the light, the clouds come rushing in and I’m right back where I started at the beginning of the semester. No progress has proven to be promised. Something has to go. I know on a rational, all-roads-lead-to-x level that what I’m doing isn’t working for my body. So then, how do I reconcile my situation? I proudly proclaimed my veganism last spring, and yet in less than 12 months I have fractured two bones — one of which is horrendously behind its recovery schedule. Does it even matter that it’s a lifestyle I still believe in, down to my (broken) bones? How do I heal myself? I keep thinking it could be worse, and yet I keep condemning myself to another week of painful destitute crippled-ness. Each week has been punctuated by pain and mini-crises and mid-terms and discomfort and slim slivers of recovery and more pain. And each time the cycle starts over again, I want to know: Will I ever recover? Everything happens for a reason. I thought that reason was my pace to life, and so I went slower, have been going slower, intend to keep going slower. That’s not enough. I thought it would be enough. My challenge over the next few days, weeks, months — undoubtedly years, if I can make it — will be to settle the score of these competing paradigms. To not put “mind over matter” because my mind has deceived me, thinking I could make it work if I only tried hard enough, for too long. And so, I will adjust my sails. Again. I will try to make it right again. Because food and health and personal happiness is a commitment, not a prize. And it seems I’ve only just begun.